WHY DON'T BLACK WOMEN CARE ABOUT DYING FROM BREAST CANCER? AN EPIDEMIC IN OUR OWN BACK YARD? I have some of the most passionate and personal conversation with strangers on the street and today was no different. While wearing my pink badge at work and sitting on a bench stool she sits next to me. she says she loves my pink badge and did I know someone who passed from breast cancer. I explain to her that although I have not I can definitely show my homage to those that have. She a black woman in her late 20's almond shaped eyes and slump shoulders explains. She states that she lost her mother almost 10 years now to breast cancer. I of course say my I'm sorry for lost and I really do mean it her pain resonated to the surface. In an instance I see the young woman as a child in sense hopeless without a mother. In a instant her sadness is replaced and anger fills her eyes ans she says "I was so mad at her". I pause unsure of how to approach the current situation I can deal with remorse but not anger and someone who is no longer here. I probed and asked why was she so angry at her mother because she had breast cancer? she answers and her response is so specific and detailed. A woman who refused to go the doctor in over 45 yrs of living died to a cancer that she didn't have to. Although sickness has struck in the form of the flu, pneumonia and several bumps and scratches over the years. She self medicated stuck it out and didn't see herself sitting in doctors office for hours on end and only to end up with a huge bill that her insurance wouldn't fully cover any way. In all these minor infractions was it worth it? Is it that black women don't care are they just ill informed? I would like to hope it the second choice. I don't think her mother intended on leaving her daughter before getting to hold her first grand child. She describes looking into the crowd at the graduation and not seeing her face and the anger was so real. I am all too familiar with parents and friends alike not going to the doctor for annual check ups. It makes me sad to know that we as black women are dying at such enormous rate is just sad. I looked into into the statistics and decided to share. What can we do as a community to stop this? • Breast cancer is the most common cancer among African American women. • African American women have a higher incidence rate before age 40 and are more likely to die at every age compared to non-Hispanic white women. • African American women have higher rates of distant-stage breast cancer compared to white women and rates of distant-stage disease have increased slightly (0.7 percent per year) since 1975, whereas rates among white women have remained stable. • Breast cancers diagnosed in African American women are more likely to have factors associated with poor prognosis, such as higher grade, distant stage, and hormone receptor negative status. • Premenopausal African American women appear to be at particular risk for basal-like breast cancer (i.e., triple-negative cancers), an aggressive subtype of breast cancer associated with shorter survival. 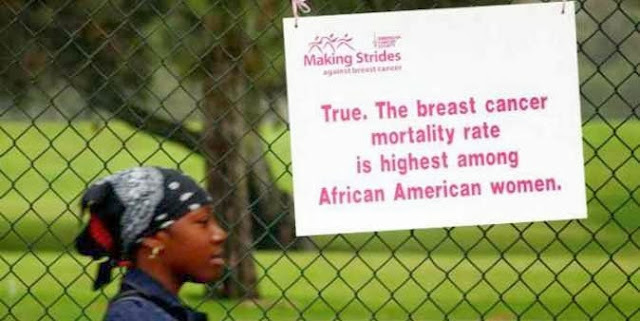 • An estimated 6,040 deaths from breast cancer are expected to occur among African American women in 2011. • Breast cancer is the second most common cause of cancer death among African American women, exceeded only by lung cancer. • Breast cancer death rates among African American women decreased 1.6 percent annually from 1998 to 2007. • The steady decline in overall female breast cancer mortality since the early 1990s has been attributed to improvements in both early detection and treatment. However, breast cancer death rates have declined more slowly in African American women compared to white women, which has resulted in a growing disparity. • By 2007, African American women had a 41 percent higher death rate than white women. • The higher mortality rate in African American women may be related to differences in access to and utilization of early detection and treatment and differences in tumor characteristics. • Since 1975, the breast cancer 5-year survival rate has increased significantly for African American women, yet there remains a substantial gap between white and African American women. • Currently, the 5-year relative survival rate is 77 percent for African Americans compared to 90 percent among white women. • Fifty-one percent of all breast cancers diagnosed among African American women are at a local stage, compared to 61 percent among white women. • Possible reasons for poorer stage-specific survival of African American women compared to white women include unequal receipt of prompt, high-quality treatment; the observation that aggressive tumor characteristics are more common in African American women; and the suggestion that factors associated with socio-economic may influence the biologic behavior of breast cancer. • In 2008, the proportion of African American women aged 40 and older who reported getting a mammogram within the past two years was 67.7 percent (68 percent for non-Hispanic white women. However, only 52.2 percent of African American women reported having a mammogram within the past year compared to 54.2 of non-Hispanic white women. 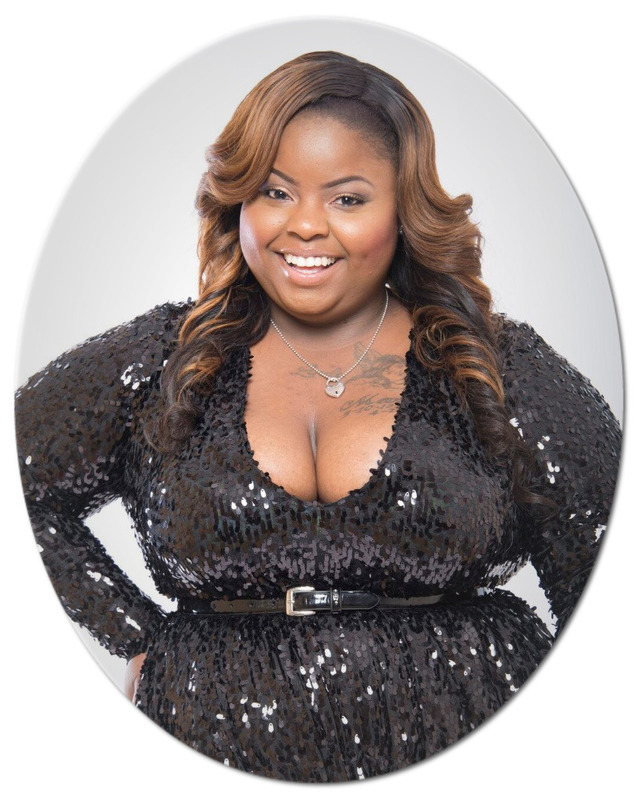 Being a plus sized woman who works with all kinds of Cancer patients. I have started taking routine trips to see doctors. I believe that people especially black woman and black girls should be educated from school age on up on the effects breast cancer can have on you. i feel for that young lady. great post! !